Celebrating the music of Arthur Lee and LOVE THE FAREWELL UK TOUR The LOVE band featuring Johnny Echols sees Arthur Leeds longest serving band return to the UK to perform classic songs from LOVE’s first three albums LOVE, DE CAPO and FOREVER CHANGES as well as some special deep cuts for the last time. From 1993 until Arthur’s death in 2006, the band Baby Lemonade performed with him is an essential part of the renaissance of LOVE’s music. This iteration of LOVE saw many sold-out tours, as well as back to back Glastonbury performances and an appearance on Later with Jools Holland.JoiningBaby Lemonade is LOVE’s original lead guitar player and founding member Johnny Echols, who was part of the classic line up that recorded the seminal FOREVER CHANGES. Johnny Echols and ArthurLee were childhood friends whose families both moved from Memphis to Los Angeles. Teenage Johnny & Arthur teamed up to form the groups Arthur Lee & The LAG’s and the American Four before they formed LOVE in 1965. The classic LOVE line up featuring Johnny disbanded in 1968. Johnny reunited with Arthur Lee in 2005 to perform with LOVE once more. Baby Lemonade formed in 1992 by Rusty Squeezebox, Mike Randle, David “Daddy-O” Green, later adding Dave Chapple to the mix. In 1993 the band landed the gig of a lifetime opening up for LOVE. That show was the last for that incarnation of LOVE as Arthur replaced them with the four baby Lemonade members. Baby Lemonade released records on Sympathy for the Record Industry, Munster and Big Deal between 1993 and 2001. Upon their return from a LOVE tour of Europe, in 1996, Baby Lemonadewasshocked to find that Arthur had been sentenced to 12 years in prison on a weapons charge. After nearly 6 years in prison, Arthur’s case was overturned and shortly after, at his request, Baby Lemonade began rehearsing for what would be non-stop LOVE touring throughout North America, UK, Europe and Australia between 2002 and 2005 where they enjoyed unprecedented success with sold-out tours, back to back Glastonbury performances, Roskilde and Benicassim festival, two sold-out shows at the Royal Festival Hall that spawned a live album, and an appearance on the Later with Jools Holland TV Show. 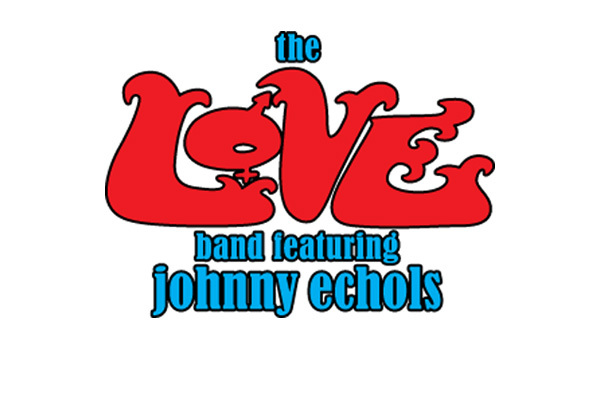 In 2005 the LOVE line up once again featured Arthur’s childhood friend and founding member Johnny Echols on lead guitar who returned after a 37-year absence. In July of 2005, Arthur was diagnosed with leukaemia and after a brave battle he passed away one year later. Arthur’s last show was with Baby Lemonade and Johnny Echols on June 23rdat San Francisco’s Cafe Du Nord. The world had lost a true music legend. 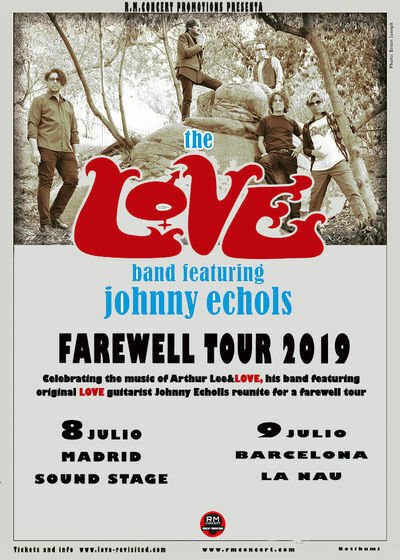 In 2019 The LOVE band featuring Johnny Echols will return for one last Spanish tour to celebrate the music of Arthur Lee & LOVE.